Our rooms are not mere spaces to rest your tired backs, but offer a whole new luxury experience. The concept of ‘Cottage’ comprising a verandah, sitting room and bedroom with attached bath was introduced for the first time in Malabar at Alakapuri. Our cottages are all named - not just numbered! 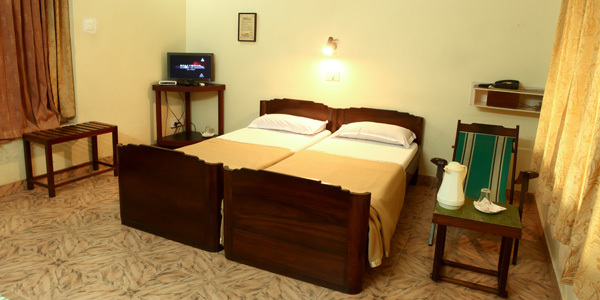 You will feel the difference when you stay with us. 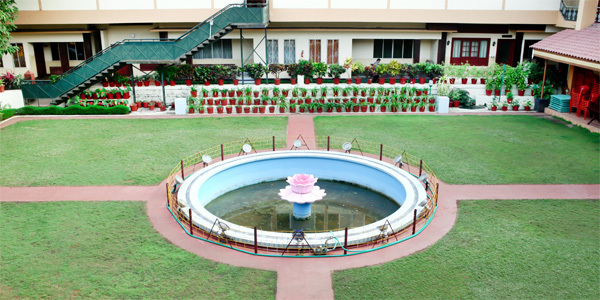 We also have double and single occupancy rooms that look out into the lush lawns and gardens. In-house laundry service for your immediate needs and spacious car parking facility will ensure you a comfortable stay. There’s an elephant in this room! 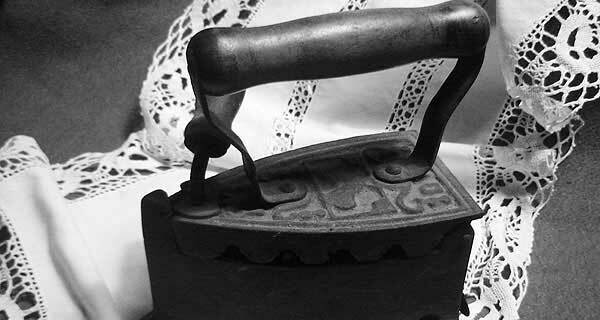 It has graced the wedding photographs of three generations, and silently presided over all million meetings. 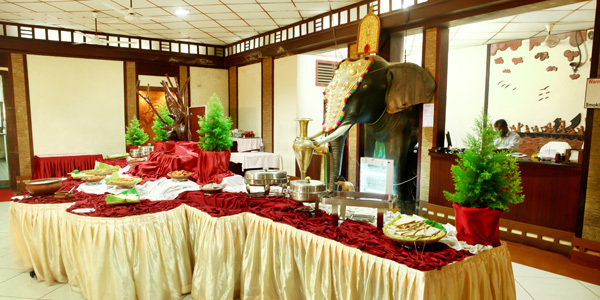 We also serve fine fare of Malabar and India, as well as Chinese and Continental dishes. 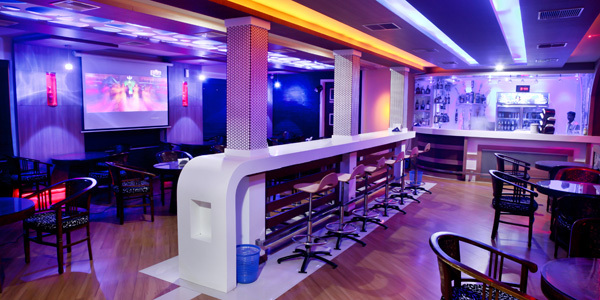 Soft Lights, Cool ambience, full screen television, mood music, clinking ice, crystal glasses and a variety of spirit… For teetotallers our fruit juices also are super–special! Constructed to commemorate fifty golden years of Alakapuri’s existence, it seats 250 guests in air-conditioned, acoustically designed comfort. We also have smaller air-conditioned meeting venues for select gatherings. This is no idle boast that Kozhikode breathes easier because of our lawns and gardens. We have won many prizes and earned a reputation as good gardens! 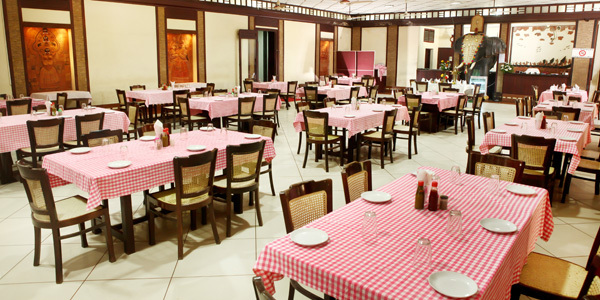 In the evenings, when it doesn’t rain, we serve food and drinks here for family functions, celebrations and get-togethers. For children, running about with bare feet is highly recommended! Thousands of wedding pictures have been clicked at Alakapuri, and many thousands of invitees have commented that our sadhya is the best they have ever tasted! For the wedding arrangement, we request that you bring only the “pookula” (coconut inflorescence). You can instruct us on every other detail, and rest assured, we will carry out all your wishes. Tucked away in a safe, sandy corner, we have a see-saw, a sliding board and a merry-go-round for our valued younger customers. It gives us sheer joy when excited voices exclaim, “See, this is where your mummy also played…!” At Alakapuri, “The more things change, the more they remain the same” holds true! 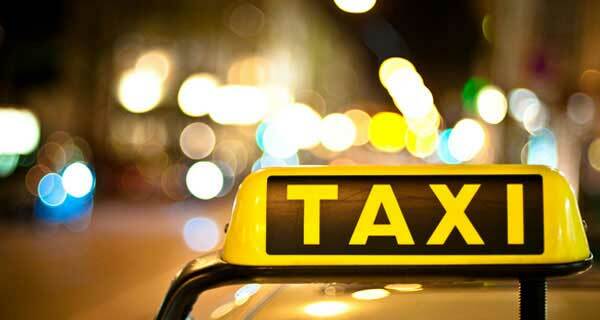 We arrange taxies for any transportation required. Reliable drivers too. 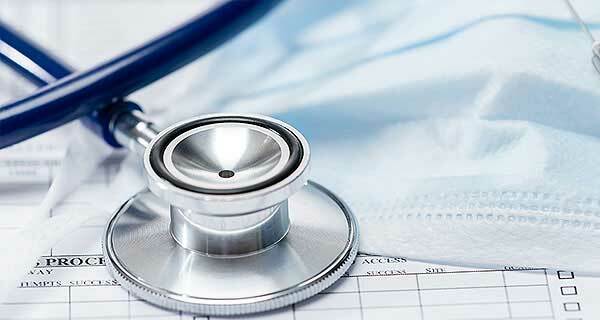 There remains one facility which we pray you will never need to use - a doctor on call and hospitals within 2km radius. We have in-house laundry service for your immediate needs. 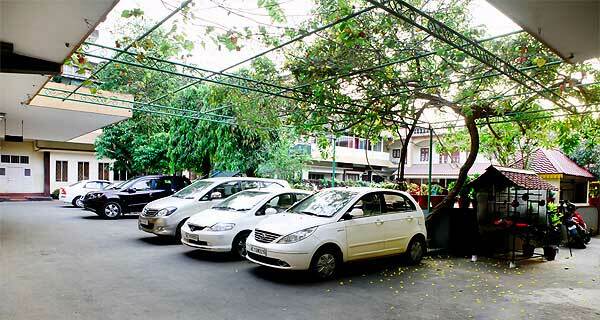 We provide extensive car parking facility for our guests. We got the FIRST PRIZE for the institutional competition in the flow show 2015. 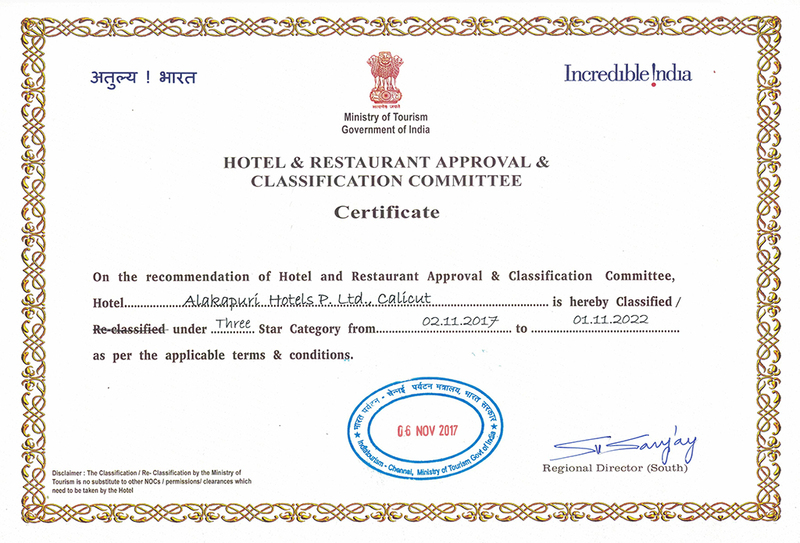 © 2015 Alakapuri Hotels Pvt. Ltd. All Rights Reserved.